Festive season is on, and you know what? this is the best time to shop from online shopping sites like Flipkart, amazon or snapdeal, because they are giving great discount deals and offers to compete with each other. They spend a lot on marketing and give discounts from their own pocket to make customer happy and getting the long term relationship with them. 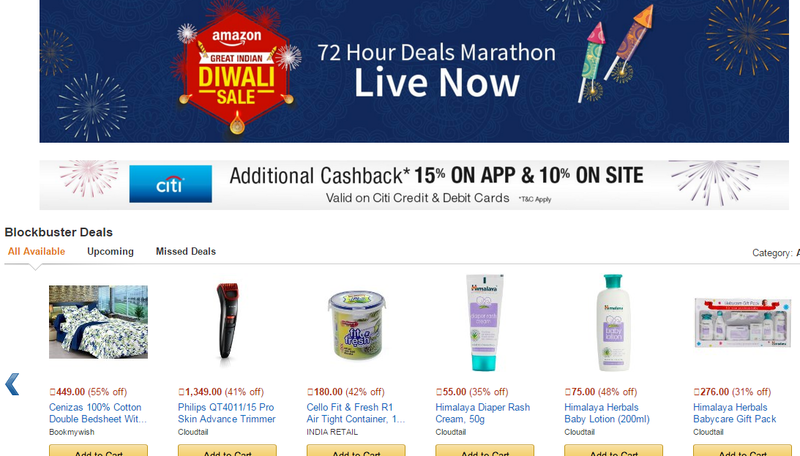 Amazon Great Indian Diwali sale is going on and earlier flipkart and amazon organised Big Billions day and Amazon festive day. Big billions day have lots of expectations in terms of discounts, but still we have seen much better deals on amazon. Here, check out the post i posted on Amazon Festive day time. 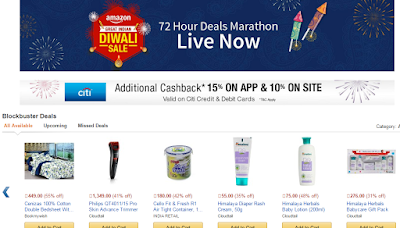 I personally give preference in the festive season shopping to amazon over flipkart, because of their fast delivery, highest discount offers and quality, even at the festival time. On this big billions day, i placed an order for a phone from flipkart, but there was the long time wait for the delivery of around 20 days, so i cancelled it and ordered from amazon. Big billions day created more marketing hype and even they have less stock, they received the order and didn't cancel and increase the time duration, and it impacts their 30-40% sales which got the cancellation request by customer. because you can't expect better deals than this in the current year 2015. I hope this small tip help you take the best decision and save good amount of money for online shopping. We daily post highest discount and Loot deals offers on All India Coupons, So, Don't forget to subscribe All india coupons via email.